The West Coast Farm & Garden Show is a grassroots, community driven event that brings together farmers, backyard growers, and food enthusiasts of our region. Through workshops and presentations, we will be providing the skills and inspiration needed to tackle the challenges of growing food on the west coast. Eating local is not only delicious, it also reduces our carbon footprint and helps support farmers in our neighbouring communities. With spring planting just around the corner, join us as we come together to celebrate the craftsmanship of local food growing. 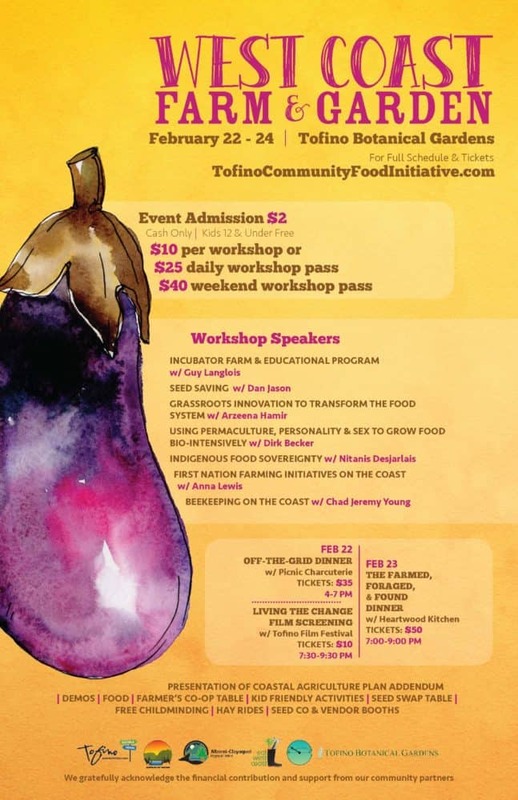 Attendees can expect a lineup of workshops with celebrated food growing experts from across Vancouver Island. Feature events include an “Off-the-Grid” dinner with Picnic Charcuterie, a screening of “Living the Change” in partnership with Tofino Film Festival, and a “Farmed-Foraged-Found” fundraiser dinner in collaboration with Heartwood Kitchen. Parents and grandparents are encouraged to bring their children: we will have free childminding provided by Tofino Nature Kids for those attending workshops, hay rides, facepainting and other family friendly activities. Solidarity Snacks will be providing lunch, available for purchase. For farmers, this weekend is an opportunity to meet other producers in our region, expand your toolkit of agricultural knowledge, and connect with markets on the west coast. Food lovers can stock their pantries and gardening sheds by visiting our Farmer’s Market Co-op table, Seed Swapping table, and the many other regional vendors that will be selling gardening/farming tools, equipment, & supplies throughout the weekend. 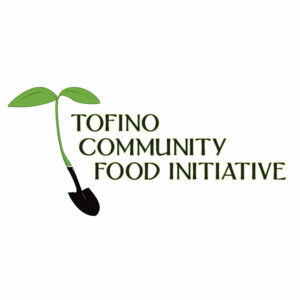 Visit the booths of community organizations involved that support food growing and food security initiatives to learn more about how you can get involved in the local food movement. *Please note the Off-Grid Dinner, Farmed.Foraged.Found Dinner & “Living the Change” documentary film tickets can be reserved online or purchased at the front gate. Select demos during the West Coast Farm & Garden Show are by donation.